Amsterdam City Centre in 15 min. Osdorp Centre in 5 min. Port of Amsterdam in 10 min. 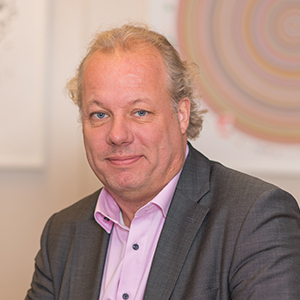 The business park is easily accessible by car and by public transport with good connections to Amsterdam Airport Schiphol, the port, city and the region. 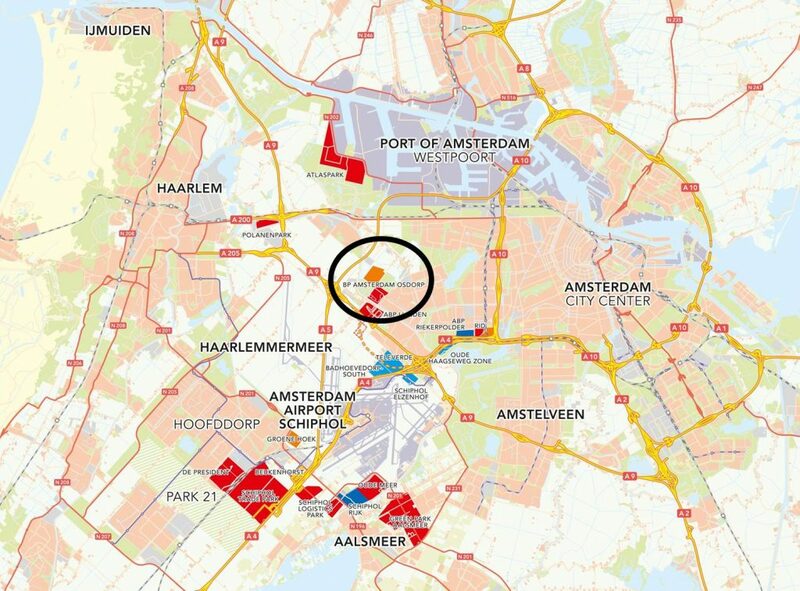 Besides this, the business park is located on the logistics corridor WESTAS, with an excellent logistical connection between the Port of Amsterdam and Schiphol. The connections by public transport are good. Tram 1 stops close to the business park and runs via Lelylaan station to Amsterdam Central. Bus line 194 of Connexxion runs from the end/start station of Tram 1 (Matterhorn) via Lijnden and Badhoevedorp to Schiphol P40 with direct connection to Schiphol Center and v.v. Amsterdam Osdorp Business Park has been transformed over the years. This is because of its unique location: on the Logistics Corridor between Amsterdam Airport Schiphol and the Nieuw-West district of Amsterdam, in the middle of the Tuinen van West. In the early years, this primarily attracted logistical business with close ties with Schiphol. With the development of Nieuw-West, they have been joined by businesses from the city in recent years. Business Park Amsterdam Osdorp forms the southern edge of the Tuinen van West, a green and multifunctional recreation area. It combines old and new landscapes, romance and fraying edges, art/culture, (urban) agriculture, catering, nature, sport and recreation. An ideal spot to enjoy a business lunch or an afternoon walk.